Venezuela, and its Bolivarian socialist revolution has long irked the United States. And, when on 10th January last the re-elected Nicolas Maduro was sworn-in for his second six-year term as President, US imperial vitriol was unleashed, unfettered. The pomp and ceremony was attended by 94 international delegations — among them Russia and China — and the presidents of Bolivia, Nicaragua and Cuba, and too the celebrating crowds of Venezuelans. Obviously, neither Maduro nor Venezuela is isolated. If then a resounding victory over his opponent does not make Maduro the winner, what does? Over 60 per cent of a turnout of 46.02 per cent of eligible voters cast their votes for him. Even Donald Trump won the US presidency on a minority vote smaller than that commanded by Maduro. In today’s democracies, with the exception of President Vladimir Putin of Russia, who can claim otherwise? That it is mere pretext used to destabilise Venezuela further cannot be denied. 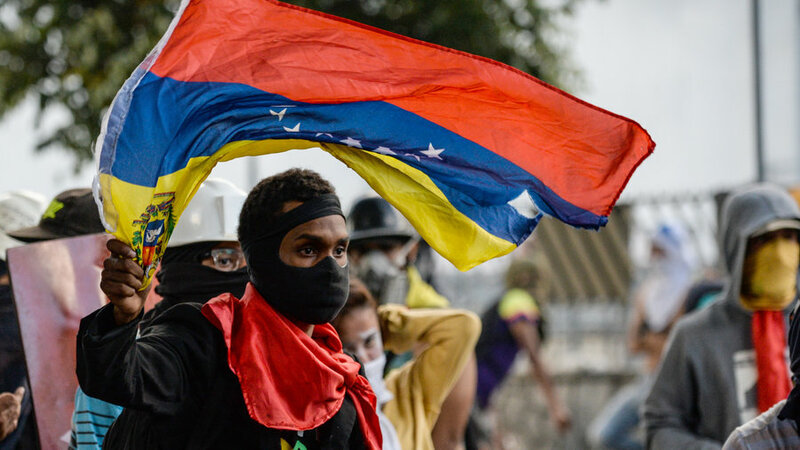 A US-led economic war against Venezuela has been on-going. A financial blockade is already in place leaving the Venezuelan economy vastly weakened with inflation spiralling out of control. The blockade has crippled its oil industry, the country’s main foreign currency earner. All this to facilitate US multinational corporations like Exxon-Mobil. Meanwhile the people suffer. And yet, Nicolas Maduro is returned to power peacefully via the ballot box because his policies ensure that the ordinary Venezuelan is fed, schooled and employed: the CLAP Boxes programme distributes food boxes to households; there is free healthcare and education; and, wages are protected. Unfortunately, regime change is already underway. The US is supporting a move by the leader of the National Assembly to step in as interim president. But the National Assembly is held in contempt by the country’s Supreme Court for swearing-in three deputies under investigation for election irregularities. And the former has been unwilling to accept the judgement until today, making all its actions null and void. Such a move by the US is nothing short of contemptuous. Furthermore, the needs of governance forced Maduro to convene another elected assembly, the National Constituent Assembly, a move provided for by the Venezuelan Constitution, meaning that democracy is alive and well. In the meantime, the US ambassador to Germany is throwing his weight around, behaving as if he’s the colonial master, threatening German companies involved in the Nord Stream2 project with sanctions. Prior to this he openly supported the right wing, anti-immigration party, Alternative for Germany (AfD), to the point where he was accused by the German media of attempting a “regime change”. However, this interference is not new. Under President Obama America’s intelligence tapped into the personal phone calls of Chancellor Merkel. If an ally is treated with scant respect, what more a government unwilling to acquiesceto Washington’s will? However, the signals emanating from Washington, at the moment, are conflicting. President Trump’s decision to withdraw from Syria was vociferously attacked, not by a handful, but nearly everyone who matters in Washington including Bolton and Pompeo who were desperately trying to walk back that decision. And, if reports are to be believed the President has again reaffirmed his wish to withdraw from Syria thus negating his own advisors. Several instances suggest that he is being actively subverted by his own administration and that the Democrats’ call for his impeachment could be bipartisan and is being stage-managed by the Deep State. In Venezuela, however, he appears to be at one with them and has yet to repudiate the threats made by both Pompeo and Bolton to change the elected government in Caracas. This is true also with regard Ukraine where the failed regime, actively backed by the US, is acting as its proxy. The overt provocations against Russia, as in the recent Kerch Strait incident, is proof. How does one explain Washington’s bizarre foreign policy, one that has resorted to nabbing individuals almost literally off the streets and holding them in detention, the latest being the Press TV anchorwoman and journalist Marzieh Hashemi? At the time of writing she has been held for some 48 hours with no reasons given. A nuclear superpower going rogue is a frightening spectacle. What more when its chief executive appears to be finding it near impossible to assert his authority. And, not forgetting, too, the flagrant violations of international law by the US. Is the world helpless to defend itself against such unpredictable volatility?